Heated Driver Seat, Satellite Radio, iPod/MP3 Input, Bluetooth, CD Player, Heated Seats Rear Spoiler, MP3 Player, Aluminum Wheels, Privacy Glass, Keyless Entry. QUICK ORDER PACKAGE 24P HIGH ALTITUDE Engine: 2.0L I4 DOHC 16V Dual VVT, Transmission: Continuously Variable Transaxle II, Bright Exhaust Tip, Remote Start System, Power Express Open/Close Sunroof, Body Color Fascias w/Bright Insert, Power 6-Way Driver Seat, Bright Side Roof Rails, TRANSMISSION: CONTINUOUSLY VARIABLE TRANSAXLE II (STD). Jeep High Altitude with Deep Cherry Red Crystal Pearlcoat exterior and Dark Slate Gray interior features a 4 Cylinder Engine with 158 HP at 6400 RPM*. Serviced here, Non-Smoker vehicle. 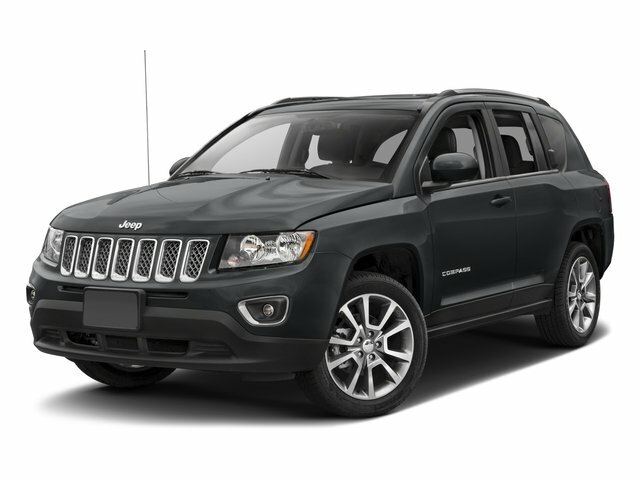 AutoBlog.com's review says "The Jeep Compass combines competence and predictable maneuverability with smooth powertrains and an ample selection of standard equipment at affordable prices.". Great Gas Mileage: 26 MPG Hwy. Reduced from $18,995. This Compass is priced $500 below NADA Retail.